I’ve never owned a gun. I’ve never even shot one, which I surmise is unusual for someone born and raised in America. Most people who live here own a gun or have at least shot one. I was never around guns growing up, so that’s one reason our paths have never crossed until today. I’m on vacation with relatives and they own a couple of pistols, which they brought along for sport. We’re about to leave to go a homemade shooting range in the forest. Yes, it’s legal to do that in any National forest, but there are rules. You can’t shoot within 150 yards of a campground, or over a trail, or over water. Other than that, it’s perfectly legal, which seems weird to me, but I guess that’s freedom. This morning my relative showed me how to disassemble the pistol shown above, which 9mm Sig Sauer, which is the same gun issued by the Federal Government to the Navy Seals. I must admit that it has a certain allure; it’s kind of cool, thus the title of this post. Last night my relative and I were drinking and he wanted to show me the gun, unloaded, of course. I declined because that’s just a bad narrative. 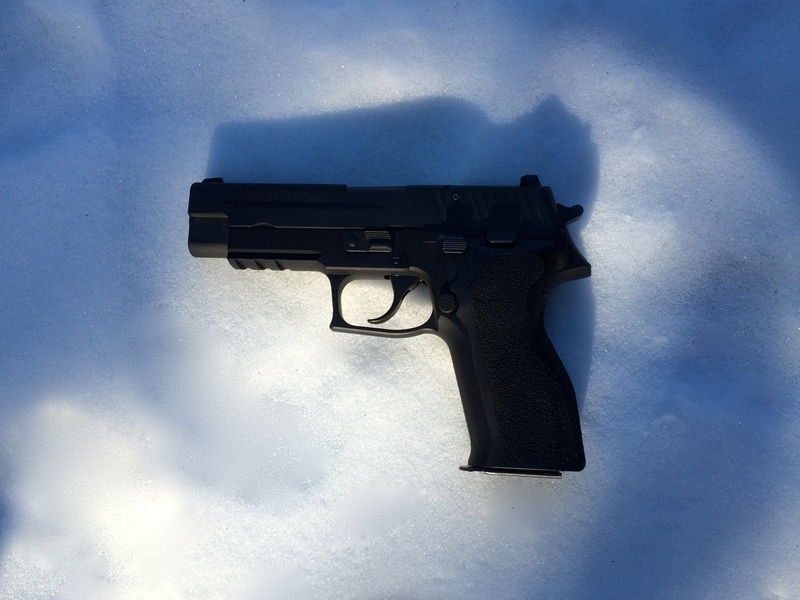 It seems like stories about accidental shootings seem to crop up more this time of year. I’m going to the homemade shooting range today and I’ll post again after I shoot for the first time. It lives in the Montclair neighborhood of Oakland, California. It’s exact age is unclear, but safe to say it is older than most of the population, having lived for about 57 years. 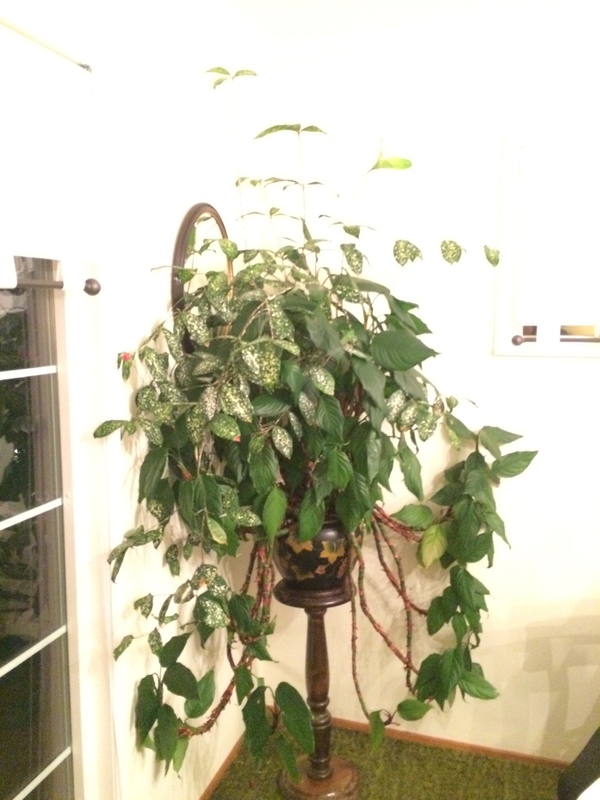 The plant is actually three plants that were combined in the same pot as a gift for a hospital patient. It was taken home and cared for by the patient until they died, and, here’s the interesting part, was subsequently adopted and taken home by a family member, where it has lived ever since. It’s continued existence seems to indicate that these particular plants have no set lifespan so long as they are cared for properly. More important, it says a lot about the person whose taken care of it all this time. When I think of the plant I imagine that keeping it alive meant keeping alive the memory of a beloved family member in physical form. 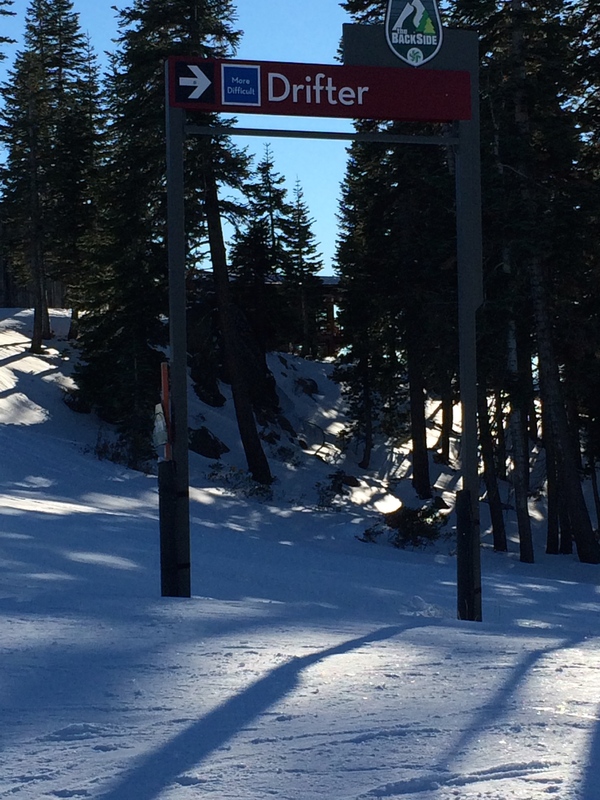 It’s a ski run at Northstar ski resort at Lake Tahoe. Seemingly innocuous, but for me, a source of ongoing anxiety. My daughter broke her leg very badly skiing with me on this run. Drifter has a stand of trees in the middle of the run near the beginning, so you need to either start your ski run to the right, as I usually do, or to the left. On February 18, 2014, I was skiing with my daughter and we decided to ski Drifter; it’s one of our favorites because it is just below expert level, challenging but not scary. It was Presidents Day weekend, so the resort was very crowded. One of my primary concerns when skiing is colliding with other skiers. More to the point, I’m always concerned that my daughter will collide with another skier, or worse, a snowboarder. The snowboarders tend to be speed demons. In an effort to avoid the heaviest traffic, I led my daughter down the left side of Drifter, not realizing that the left side of the run had not been groomed and was basically a block of ice. As soon as I realized my mistake I made a plan to get past the trees, then stop by abruptly turning my skis horizontal to the slope, what’s known in skier parlance as a stem Christie. I would then lead my daughter off the ice and to the right side of Drifter, where the snow had been groomed. When I executed the stem Christie, my daughter didn’t have time to replicate the maneuver and instead skied by me, screaming in fear. One of her skis went under mine and took us both down, with our equipment flying everywhere. I’ve had incidents like this before and so has my daughter, but not where we collided with each other. I checked myself and everything seemed to be in one piece, so I assumed that my daughter, being a resilient youth, would also be OK. Well, it turned out that she had suffered spiral fractures in two places on her left leg. Fortunately, everyone who was involved in taking care of her after the accident performed perfectly. From the ski patrol guys at Northstar, to the staff at Tahoe Forest hospital who operated on her leg, to the staff at Kaiser in the Bay Area who handled her follow-up treatment. You might imagine the guilt I felt and continue to feel being a party to my daughter’s injury. Even though my actions that day were informed by concern that my daughter not be injured, I have terrible regret. There’s nothing worse than being in any way responsible for your own child getting injured. So now we’re ten months on from the event and a new ski season has begun. We’re at Lake Tahoe and today I went to Northstar for the first time since my daughter’s injury. My brother-in-law suggested that we ski Drifter, and I said, yeah, return to the scene of the crime. But we did it anyway. The conditions were marginal; groomed, but with patches of ice. We made it down OK without any incidents. My daughter didn’t ski today, because the doctors recommend that she wait at least one year from the date of the injury. So you see where this is heading. Should I encourage her to ski again, or not? On the one hand, there’s the whole get back on the horse trope. But on the other hand, I already feel bad about her being injured in the first place. To add another level, I really enjoy skiing with my daughter and I’d miss that pleasure. I don’t know how this will all work out, but I’m going to let her make the decision, and also let her know that decisions have consequences either way. I hope we’re able to ski together again.